Detox products: 6 Panel Urine Multi Drug Test Kit (COC/AMP/M-AMP/T. Pass drug tests, passing all drug test. 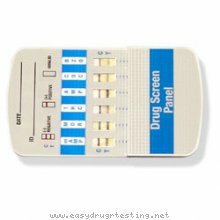 The Multi Drug 6-Panel Drug Urine Test is a simple and precise one step rapid drug test kit, qualitative detection of cocaine, amphetamines, methamphetamines (ecstasy), opiates (heroin, morphin), tetrahydrocannabinol (marijuana, hashish), and BZD (Valium) drug testing in urine. The shopping cart will adjust with quantity It is exactly the same test as used by officials and human resource departments.